The fastest pitch repair in the west. The PitchMaster Repairer raises the turf without pulling the roots for instantly ground healing to maintain a healthy, playable green and not a big brown dead spot. 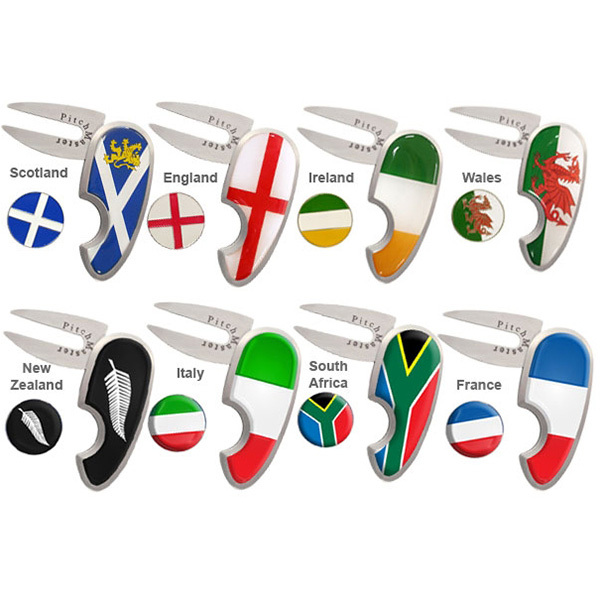 The Pitchmaster Divot Tool is available in a choice of country flag covers including: Canada, Denmark, Dutch, Finland, France, Germany, Italy, New Zealand, Scotland, Spain, South Africa, Sweden Norway, United States and Wales. For the less patriotic and more unique covers are available such as: Hole In One, Longest Drive, Nearest The Pin and the infamous El Bandito! The Asbri Golf PitchMaster features a Wedge Scoop Design which reduces the lifting motion during turf repair that can lead to accidental root separation, which causes even more damage to the turf. Simply press the divot tool down into the turf and it will move naturally towards the ball mark, spreading grass over the divot. Then all you have to do it gently rock the tool and smooth the grass down for a complete repair. 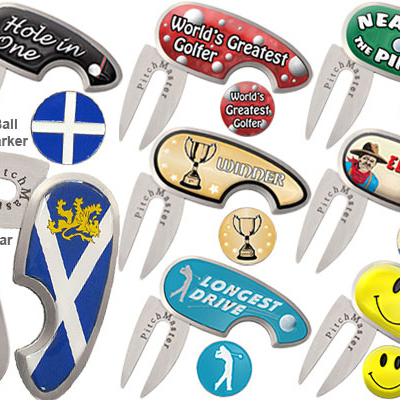 Asbri Golf has made their divot tool design using high quality stainless steel for maximum rust proof protection, giving golfer a tool that’s guaranteed for life. 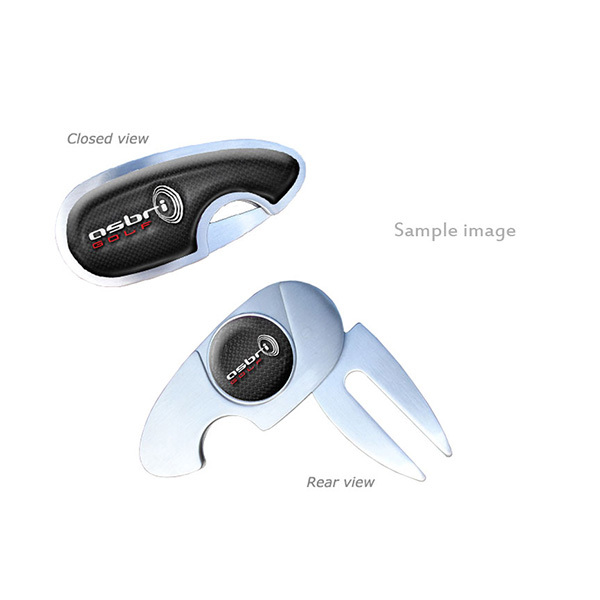 Fully retractable fold away blades, making it easy to place in your pocket or in your golf bag without puncturing the material. With a blank stainless steel reverse the Asbri Golf PitchMaster Repairer is perfect for engraving as a gift.